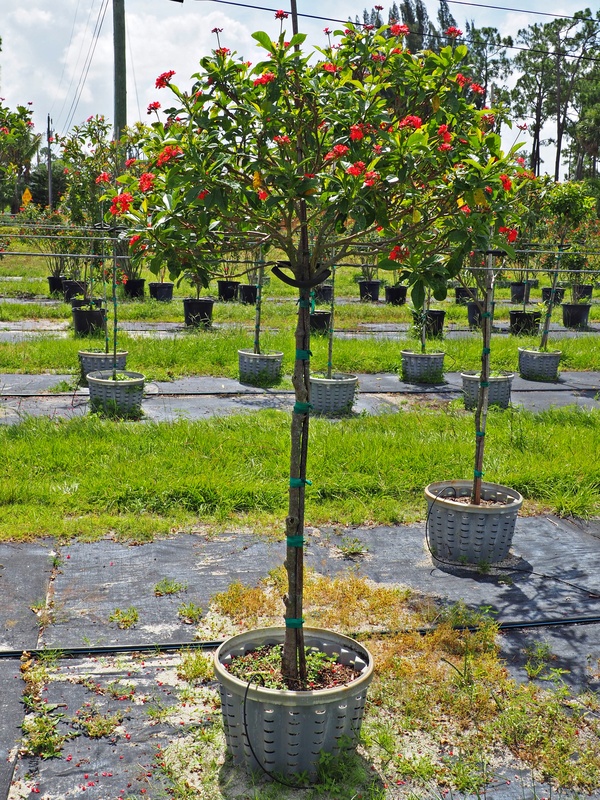 Small evergreen shrub or tree that will stay under 20 feet in height. Attractive glossy green foliage and scarlet or vermillion or even light pink flowers that attract pollinators year round. Drought tolerant and prefers well drained soils. Will be damaged by frost. It is not salt tolerant.